Thank you for visiting our website. Our Ando Gumi Group utilizes nature and as a corporate group in the area that makes people best. We will support the present and continue to create hope. 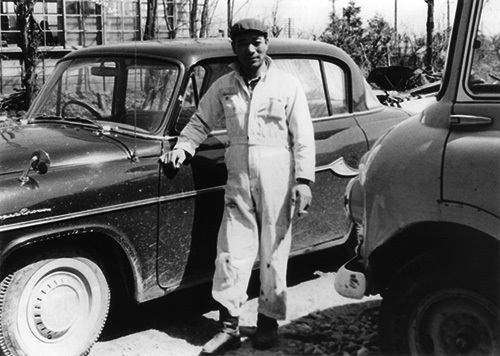 Our group was established in 1946, by the first generation president Masaji Ando. We are confident that [The source of postwar reconstruction increases production of food] and we started to grow Ando agricultural machinery store aiming to increase the efficiency of power generation and electric production of farm equipment. Then, along with the trend of the times expanded the business to the materials related business in the construction industry and then grew the business from gravel collection manufacturing and sales as ready-mixed concrete and further to the general construction industry. With this inauguration more than 70 years have passed since the celebration. Thanks for [Ando Gumi], [Sugamutsu Kensetsu ”Construction Company”],[Ando Unyu ”Transport Company”],[Ando Seibi Kogyo “Vehicles Maintenance Industrial Corporation Company”],[A. Power “Wind Power Generation Corporation Company”]. We have now five companies in the group, many bonds with our customers, employees who work together and their families. It is step by step supported by the local people but we appreciate the gift that “We are able to advance”. In the future, we will dialogue with nature for happiness of the area with all employees. We will continue to be a corporate group that is indispensable to the world. ● Contribute to local communities through business. ● Aim for high quality of products. ● Aim for manufacturing products that meet customers’ requirements. Ando Seibi Kogyo (Vehicle Maintenance Industrial), Corp., Ltd.
A.Power (Wind Power Generation) Corp., Ltd. 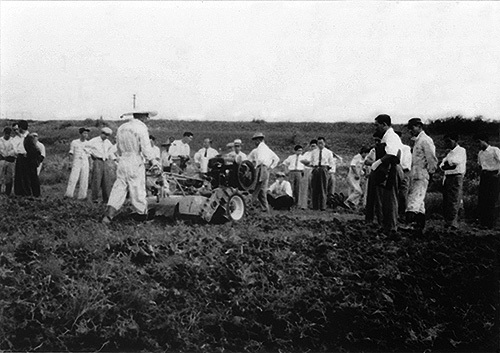 Founder started sales of agricultural machinery by Mr. Masaji Ando [Founded]. Established Ando Gravel Store mainly with gravel sampling and sales business. Changed Ando Gravel Store to Ando Gumi. Concurrently with the construction industry. Ando Gumi Group Reorganized into a stock company. Began manufacturing and selling the ready-mixed concrete. Ando Seibi Maintenance Factory was established. 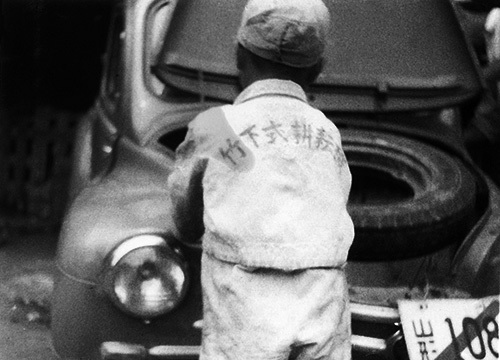 A headquarter office [The ready-mixed concrete factory] became the Japanese industrial standard display factory. The second ready-mixed concrete factory was opened in Yuza Town. Established of crushed stone plant in Asahi Village, Yamagata Prefecture (Present Tsuruoka City). Advanced into the crushed stone division. The second factory (Yuza Factory) became the display factory of Japanese industrial standards. Ando Seibi Vehicles Maintenance Factory was incorporated to be Ando Seibi kogyo (Vehicles Maintenance industrial) Corp., Ltd. Joined along with Shonai ready-mixed concrete cooperative association. Opened the first-class architectural office, advanced into the building department. Changed from general construction industry to specific construction industry (Permission from Yamagata Prefectural Governor No.700108). We succeeded business in Takara Saiseki Factory Corp., Ltd. in Yuza Town. Advanced to the construction department. Opened extra sales office. Advanced into the real estate division. Opened residential building trading business. Established Ando Unyu Transport, Ltd.
Advanced to industrial waste disposal industry. Acquired permission for industrial waste treatment, waste collection and transport industry. Founder Mr. Masaji Ando suddenly passed away. 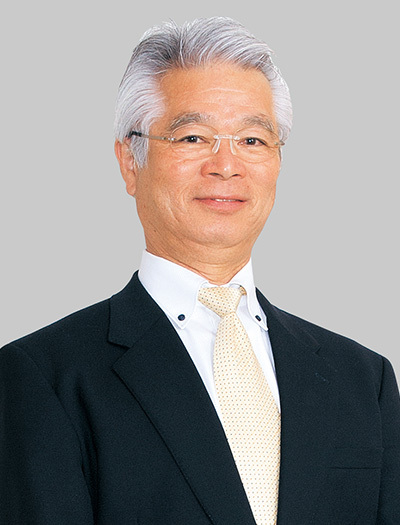 Mr. Masanori Ando took over as president, Second president. ISO9001, ISO9002 Certified building design and construction, manufacture of the ready-mixed concrete and aggregate, construction of civil engineering structures. The main Adcon Factory changed to Adcon Yuza Town ”The ready-mixed concrete Yuza Factory"
Merged Takara Saiseki (Formerly Takara Saiseki) Corp., Ltd. Into Ando Gumi Group Corp., PLC. We operated the ready-mixed concrete factory “Tsuruoka Adcon” in Tsuruoka City. 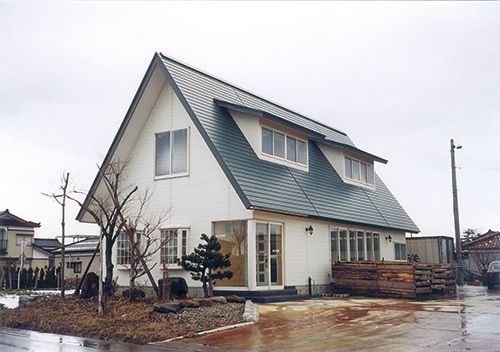 Construction division of Sugamutsu Construction Corp., Ltd. in Tsuruoka City merged with Ando Gumi Group Corp., PLC. is newly. 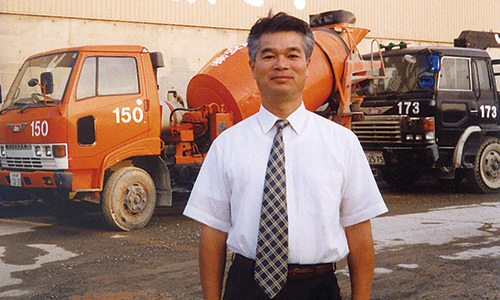 Then Ando Gumi Group Construction Corp., Ltd. Was established. Established A. Power Corp., Ltd. for Wind Power Generation Business. The first wind power plant was completed in Mitane-Cho, Akita Prefecture. Established manufacture of the ready-mixed concrete factory in Sendai City, Miyagi Prefecture (Adcon Sendai) and started operation. dcon Sendai became a Japanese industrial standard display factory. Ando Gumi: Obtained Ohama plant of Sakata City. Built Ando Seibi Maintenance Industrial building newly. Automobile repair and maintenance area. 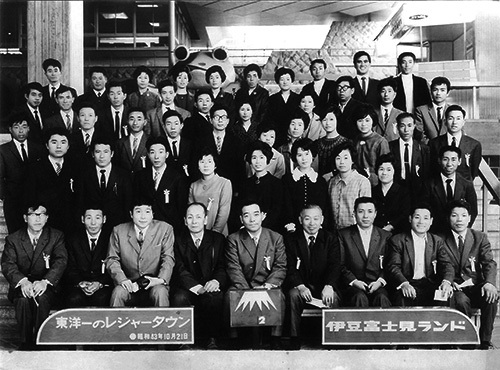 Ando Gumi Group Foundation’s Seventieth Anniversary. Ando Unyu (Transport): Acquired Takasago Factory in North Port, Sakata City. Ando Gumi Group Company printed cover page of “Culture Of The Workplace “in October issue of 2017 (1.850 million copies). State of Agricultural Machine Demonstration Sales Day. Childhood Of The Second President. These towels were delivered to customers as a daily reward when we sold Agricultural Equipment at “The Ando Agricultural Machinery Store”, which was the origin and starting point of “The Ando Gumi Group” in 1946. 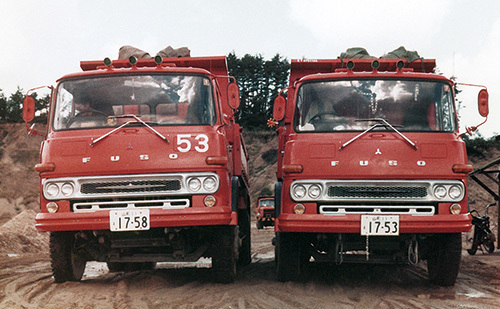 Ando Gumi’s Old Dump Trucks. Second Generation President Masanori Ando.